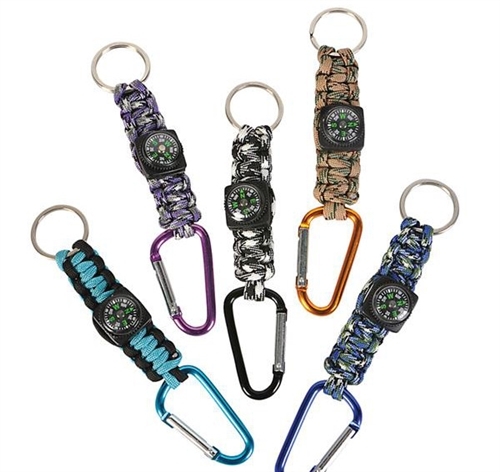 These rugged key chains feature a multi-color braided band, a compass, and a convenient interlocking metal loop. A great party favor. For ages 8+.